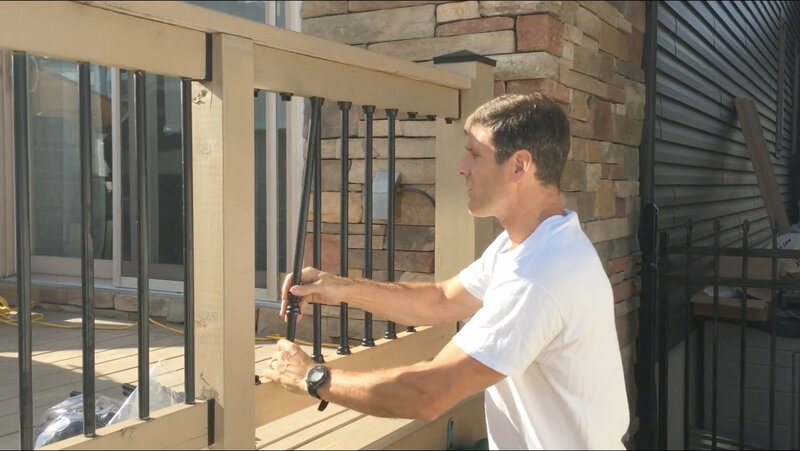 Although there isn't one specific deck building code, here is a helpful summary of what you need to know for deck railings, stairs, stringers, treads, footings, framing and ledger boards. It includes the most important requirements based on the IRC - and industry Rules of Thumb where no code statements exist. Different guardrail heights at different elevations above grade for Canadians. Thirty-six inches is the most common residential height, but some jurisdictions vary. 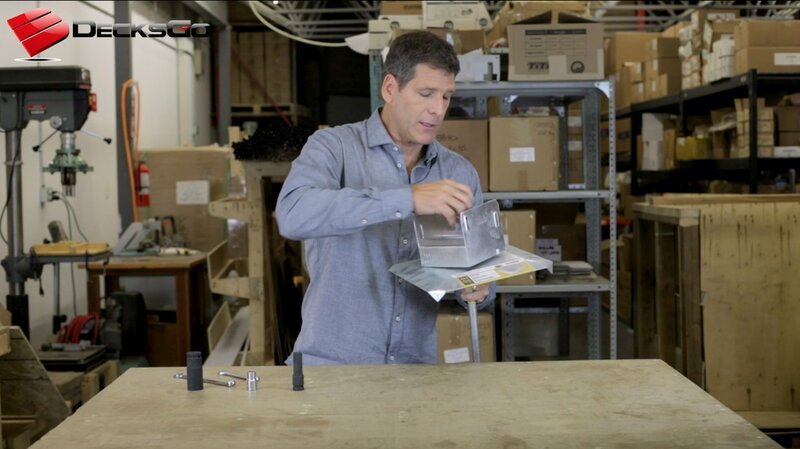 Understand what design loads and safety factors for testing are. Nineteen different possible ways of securing posts into the framing. 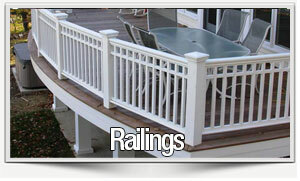 Baluster calculator: Find out exactly how many you need with a single click. Forum talk: Read or chat about every esoteric railing topic under the sun. 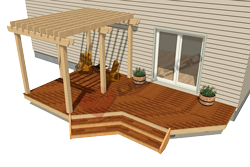 Maximum rise of 7-3/4” - maximum difference among risers 3/8"
Minimum tread width of 10" - maximum difference among treads 3/8"
Connecting stairs to deck: Extended backer board below rim joist. Attachment methods vary depending on the style of stairs but this is a very common and reliable technique. Learn the math and how to trace out the number and size of rises and runs to cut out your stair stringer. Calculator: Don't let the math intimidate you. Just input your elevation change and this will figure out your rises and runs. 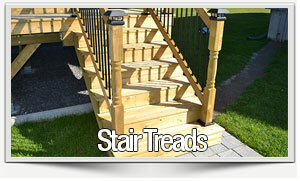 Forum talk: Participate in discussions on the finer points about building stairs. 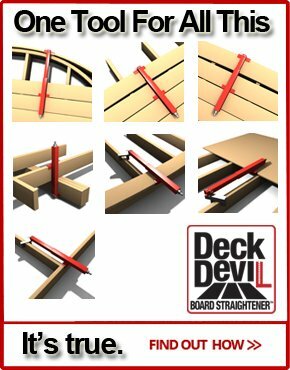 Maximum nosing of 0.75" to 1.25" - maximum nosing radius of 9/16"
Open risers: maximum opening of 4"
Stair Tread Diagrams: See how far apart you can space solid or notched stringers. Handrail Sizes Diagrams: An illustration says a thousand words. 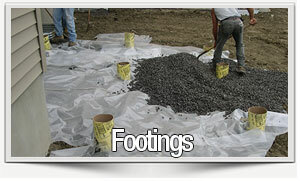 Underside of footing must be below frost line for ledger connected decks or minimum 12" below grade where no frost applies. 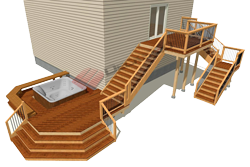 Floating Deck Exception: Decks not connected to ledger need not have footings extending below frost line. Steven Foot Rule: How deep to go for footings on slopes? 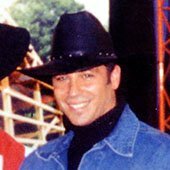 Sizes And Shapes: Five different ways to form foundations. 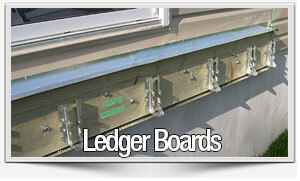 Lag screws must go through band board at least 1/2"
Ledger board width must be => deck joist width but =< rim joist width. 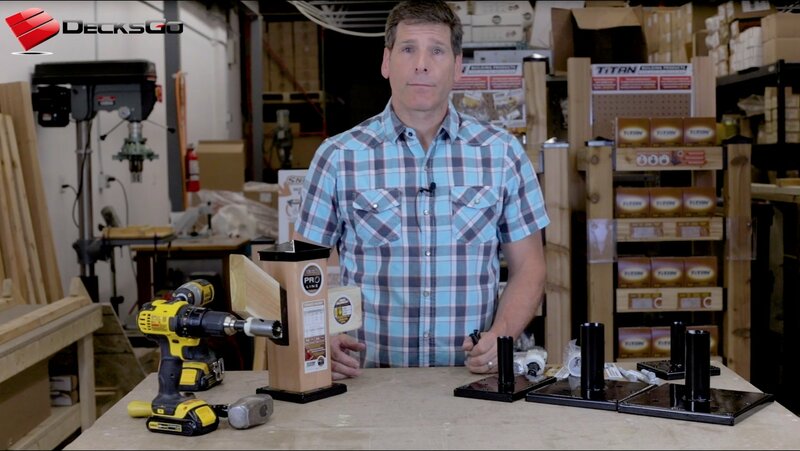 Lateral Load Questions: An inspector clears up a lot of confusion. Challenges With Lowering Deck: An example of restrictions caused by ledger guidelines. An Older Home: What about balloon framed houses? 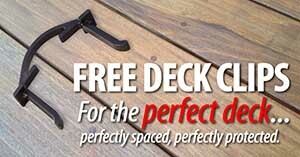 There is no building code for decks. Instead, what you find is a single code for residential building and all the rules fall under that. 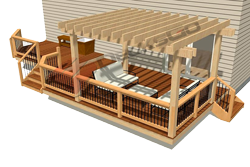 A deck is merely one part of a residential building project. And so the following topics, covenants, easements, setback and variances are ancillary issues that over arch the general regulation of construction. 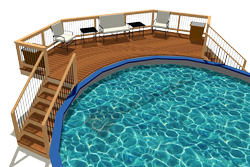 For these, you must drop in to your local city building department and chat with the officials about any covenants that may specify size, style, and location or material restrictions for you deck. An easement is a city bylaw or regulation related to use and access of a property. 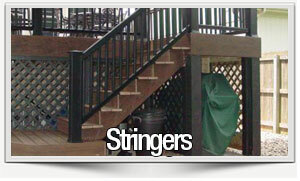 It allows your neighbors or public officials access to a portion of your property. Make sure you don’t build in a way that impedes this access. If you own your property you should have an entire history of its title from when you purchased the property. You can't build in a setback area. The city will tell you right up front what the setbacks from property lines or sidewalks are. 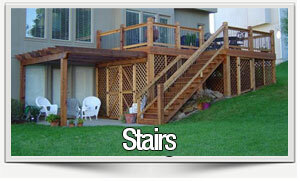 There are usually limits to how close your deck can be to another building. 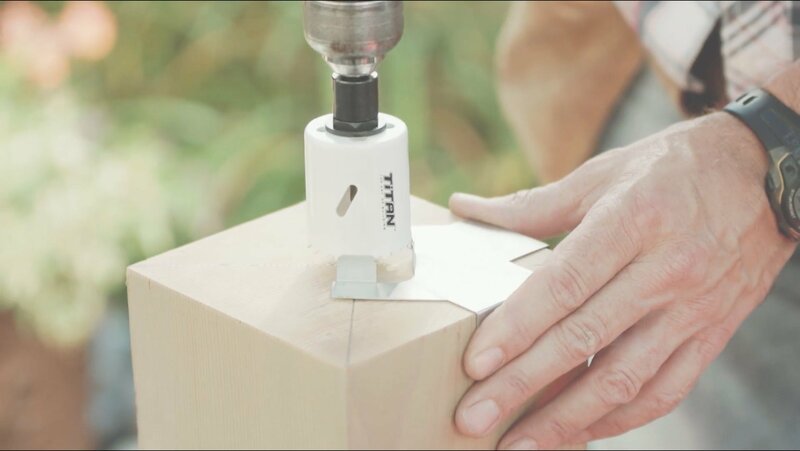 Be sure to find out - You don't want any surprises after its built. A variance is a rarity. Basically any regulation can be challenged and depending on your circumstances, may be set aside or "varied". 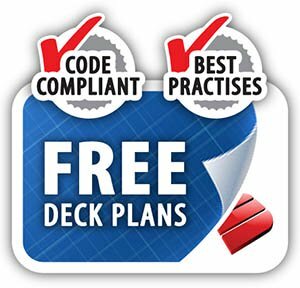 Refer to this summary as your deck building code guide as you formalize your design, plans and ultimately, the actual build.